Everyone has had that moment at work where you’re driven to drink, smoke or otherwise engage in your favorite vice. It makes you pause and get philosophical, question the meaning of life, wonder why are you doing this, have all sorts of should’ve, would’ve and could’ves run through your mind. I’m here to tell you, you’re not the problem. Maybe you just work with idiots. My coworkers sometimes wonder how I’m usually calm and don’t let the BS that happens in the workplace get to me. Lots of people have a morning ritual before they start work. Some recite prayers, chant, do yoga or have their favorite cup of coffee. I, on the other hand, keep a magnet collection. It’s a spillover from my habit of collecting refrigerator magnets from the various places I travel to as mementos. 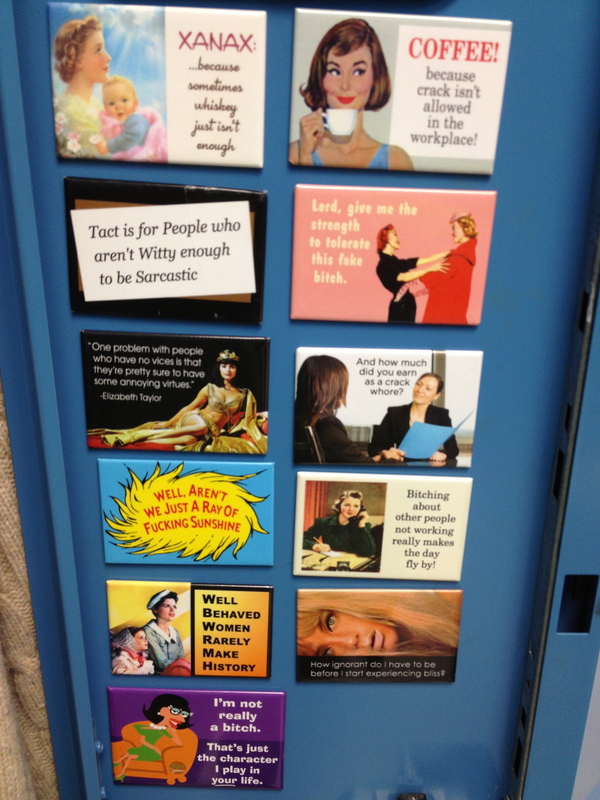 I’ve been admired at work for my sense of humor and in light of that, I’ve created this shrine of magnets in my locker with a variety of humorous sayings that I get to look at each morning. Several people from Marilyn Monroe to Eleanor Roosevelt have been quoted with coining this phrase. 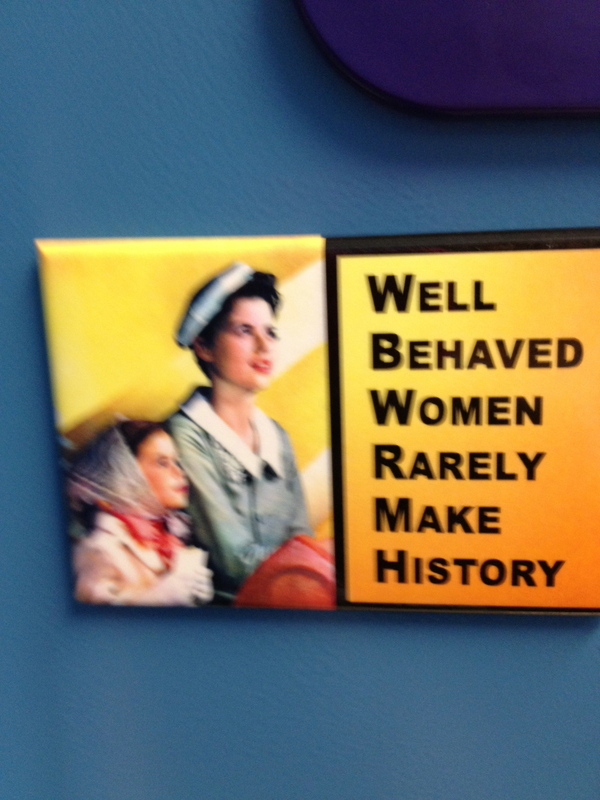 I don’t know who originated it, but most of the women in the workplace whom I and other folks remember fondly, or not so fondly, have all engaged in some bad behavior in one form or another. The only well behaved woman that immediately comes to mind that has made history is Mother Teresa. And saints like her are guess what? Rare. For the record, I don’t take any medication. 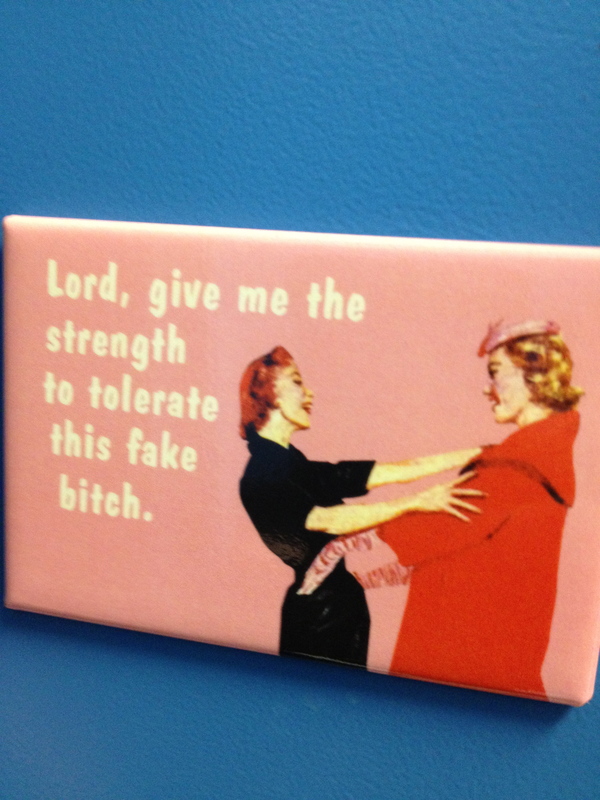 But this one is just one of those magnets I found funny. For one, it’s poignant because I work in a pharmacy. And two, when you deal with crazy patients and at times crazy coworkers, breathing deeply and a woo-sah ain’t always enough. 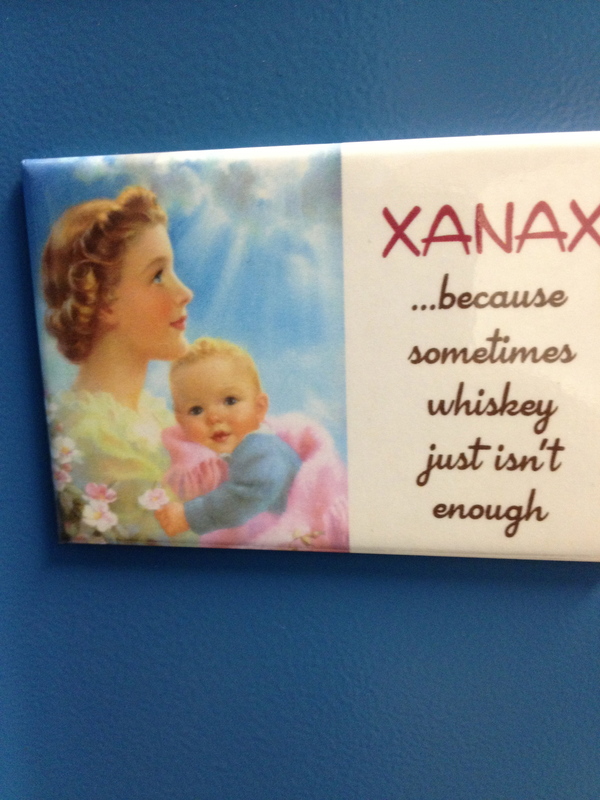 Sometimes you do feel like you need to pop a xanax or two, or maybe a bottle. 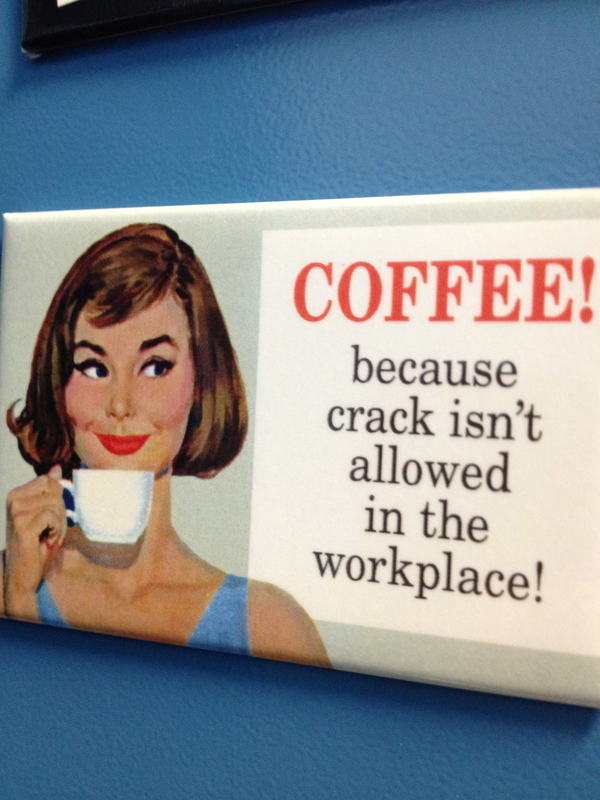 I can appreciate this one ’cause I’m a former avid coffee drinker. But we got a few folks who take that java indulgence just a little bit too far. There’d be a number of meltdowns on the job if our in-house Starbuck’s coffee shop were to ever close down. I kinda regret not buying this one, but if anyone sees it, let me know where I can find it. 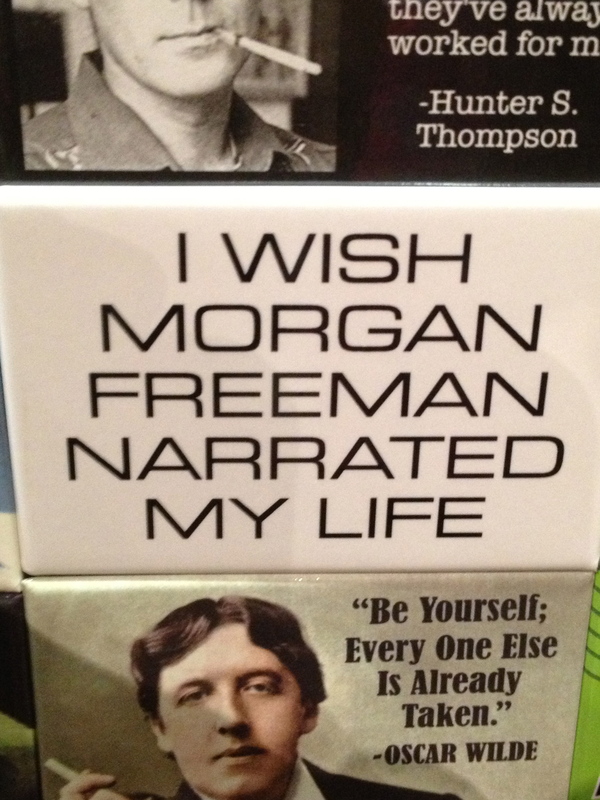 ‘Cause who wouldn’t want Morgan Freeman to narrate their life? 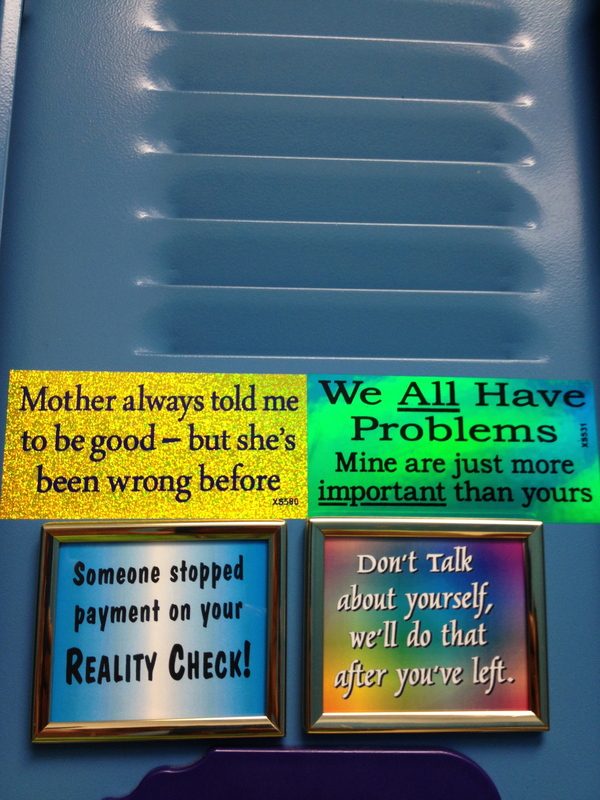 My favorite one is the “how ignorant” one. Must find that one and get it for myself (!!!). I found that one on my last trip to Vegas.